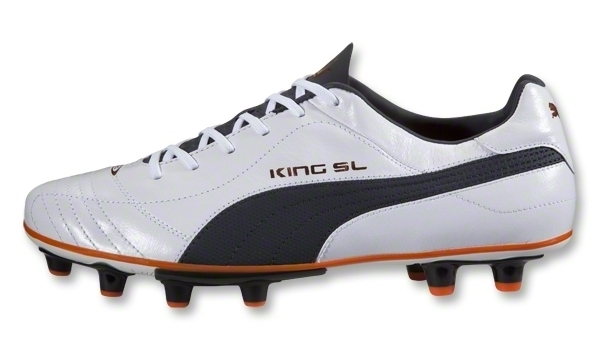 The Puma King Finale SL football boot weigh in at a phenomenal 225 grams thanks to a thin premium K-leather upper. 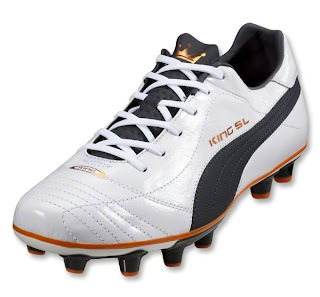 These King boots are not only lightweight, but the K-leather also allows a fit which for optimal touch and feel on the ball. The heel counter has been striped down to minimise weight while a redesigned and streamlined perforated tongue enhances comfort and ball contact. 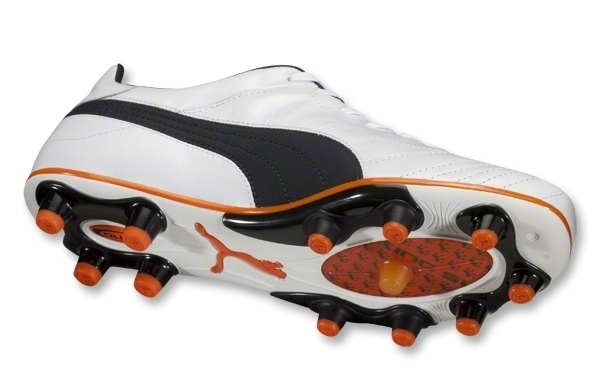 This Puma King Finale SL design is inspired by Puma's 1986 Mexico Finale football boot, updating the football boot construction by incorporating Puma's newest high tech materials to guarantee this King SL takes the King name to the next level. An EVA insole gives cushioning allowing superb underfoot comfort. A synthetic suede ankle lining minimises rubbing resulting in maximum comfort and durability. 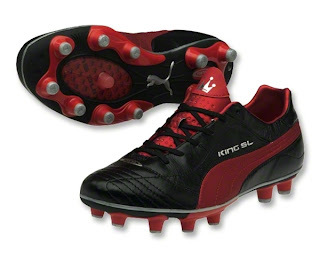 The Puma King Finale SL i Football boots have Puma's Patented AptoLast the shoe conforms to the natural shape of the foot for exceptional support and a snug fit. This football boot has a lightweight bio-based TPU injected outsole completed with conical stud configuration, giving optimum stability and traction on dry and firm ground surfaces.